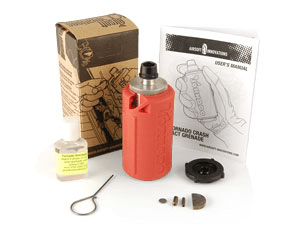 Rail Adapters & Valve Key | Flash Hiders | Comm Gear and more! Dr. Airsoft has posted a new video of the testing of the Arean Industries Flakjak Goggle. Watch to see if a bb can sneak in past the seal around the bridge of the nose. Introducing the ESS Profile TurboFan™ with Cortex Clip™. Specifically customized for Airsoft use, this new kit features the world’s most popular fan-ventilated military goggle, plus the Airsoft-essential ESS Cortex Clip™. Featuring a built-in 2-speed ventilation fan, there is no question that the Profile TurboFan™ represents the most effective night-vision-compatible weapon against lens fogging. 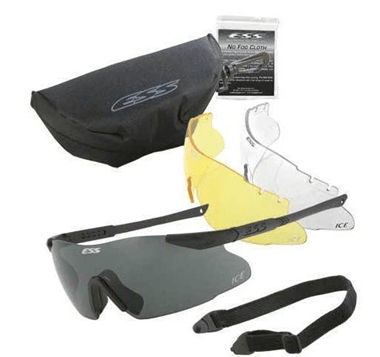 Also the New ESS ICE 3 & ICE 3 Nero Series: As with all products in the ESS Interchangeable Component Eyeshield (ICE™) Series, the ICE-3 NARO™ is a lightweight, frameless eye protection system that offers a unique combination of high-impact resistance, unrestricted field of view, and interchangeable lenses for effective eye protection in any light condition.Equipped with the new ICE™ temple designs, ICE NARO™ eyeshields feature improved fit with headborne equipment and increased ease of temple adjustment and lens interchange. Adjustable earbends allow for a comfortable, secure, anatomical fit. Telescoping temples offer bend-to-fit inner-wire ear tabs and a snap-on leash system. All ICE NARO™ lenses provide 100% UVA/UVB protection, and exceed ANSI Z87.1-2003+ and the U.S Military .15 caliber ballistic impact test MIL-PRF-31013. 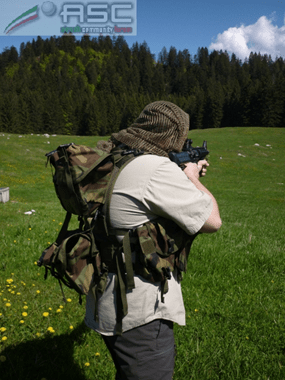 IMPORTANT: Please note that the ESS ICE™ is NOT recommended for use on the Airsoft Battlefield. 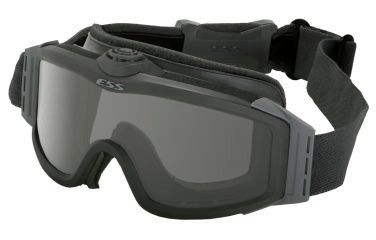 Only products from the ESS Airsoft Eye Pro section should be used in Airsoft. 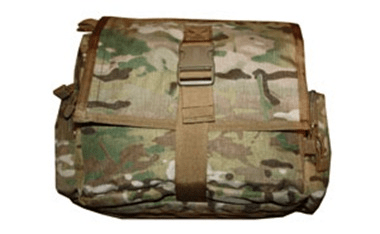 The BlackHawk "Battle Bag" or "Grab-to-Go Bag" is is a must for all field personnel. Organize all of your warfighting necessities in this over-the-shoulder carry bag. Everything from comm., chem. lights, concealed handgun, spare magazines, maps, GPS – all have a place in this bag to enhance your survivability. Quantities are Limited initially with delivery expected next week or sooner so get them while you can, Website will be updated with all details by COP Friday. Amazing pricing for a quality AEBBG! Dear Sir, We have got some new items released. 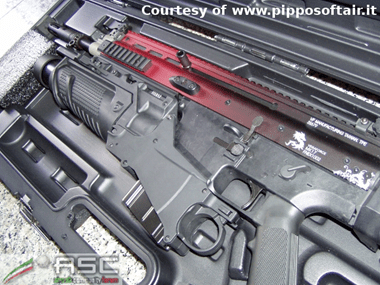 Please kind to visit our website (http://airsoftglobal.com/) to obtain more information! The Airsoft Innovations Tornado Impact Grenade is now available for purchase through your favorite retailer. 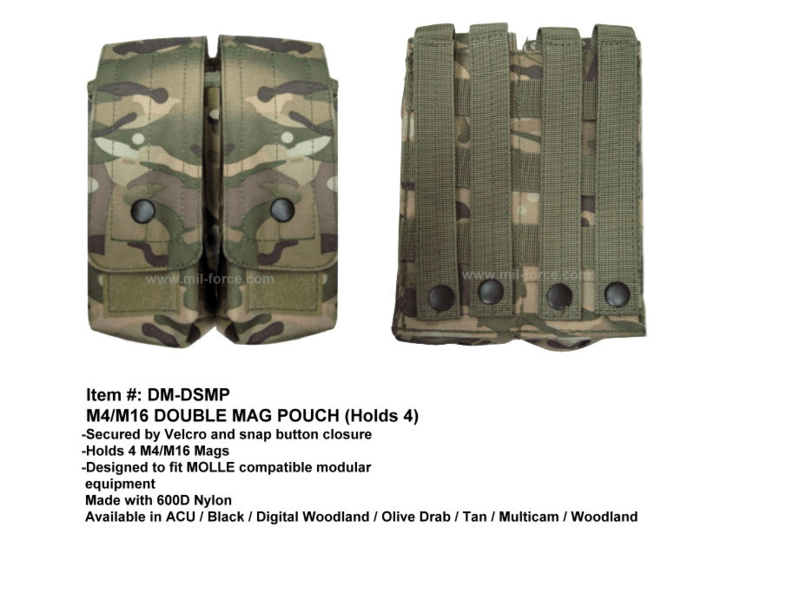 Visit our website www.airsoft-innovations.com for more details about the ONE INCH PUNCH! We’re really excited with the launch of this new product, we hope it adds an awesome new dimension to your game. We also have had the chance to depict a "one of its kind" replica: the Scar H CQC VFC T&T ver. EXA 2010. 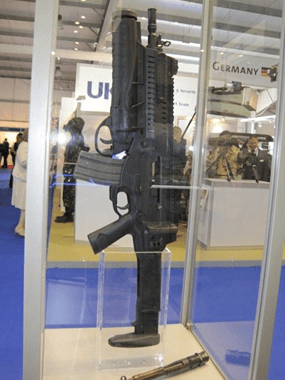 This is a special AEG realized for the Italian Weapons Show EXA 2010 by Tactical and Technology, Italian wholesaler, and drafted amid all its resellers. The lucky winner let SEAL1 take some images of its pride and prize. You can view it here. Chosen by the professionals – Law enforcement, military and fire professionals worldwide consistently choose the 5.11 Tactical Cotton Tactical Trousers for both on and off duty wear. 5.11 Tactical Cotton Tactical Trousers were first specified by the FBI National Academy as standard training issue, the tactical pants have enjoyed considerable popularity over the past 30+ years. 5.11 Tactical Cotton Tactical Trousers are ideal for close protection in hostile warm environments such as the Middle East and Africa. Ready to wear lightweight poly-cotton pocketed pant, for Close Protection, RST and Security professionals – 5.11 Tactical Series® has done it again. The new 5.11 Tactical Coyote Brown Taclite Pro Pants is ready for wear and we know this one will be a hit. These tactical trousers are in use by many UK RMP and Government Close Protection Teams. Design and construction – Fashioned after the traditional 5.11 Tactical Pant, the new 5.11 Tactical Coyote Brown Taclite Pro Pants features a lightweight poly-cotton ripstop fabric and a fully gusseted crotch that allows for full range of movement. 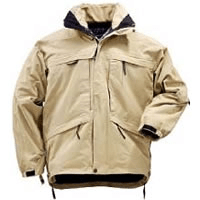 A ‘three jackets in one’ parka suitable for many different climates – If you are looking for essential go fast gear for colder climates, then look no further. The 5.11 Aggressor Parka is three jackets in one and will serve you well in many different climates. Modelled after the 3-in-1 Patrol Jacket, the Aggressor Parka is a functional piece of outerwear for off duty or under-cover work. A breakthrough technology in outerwear material for law enforcement – High tech meets tactical with 5.11’s new Sabre Jacket. Bringing you breakthrough technology in outerwear material for law enforcement you and your gear will stay warm, dry, comfortable and ready for any situation. 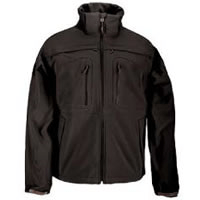 5.11 Tactical Sabre Jacket, lightweight, warm, soft and durable material – The three layer micro fibre outer material is lightweight, durable, windproof, waterproof, soft, and warm. The soft-shell micro fibre is bonded to tight knit fleece to increase comfort (warmth) then lined for added durability. 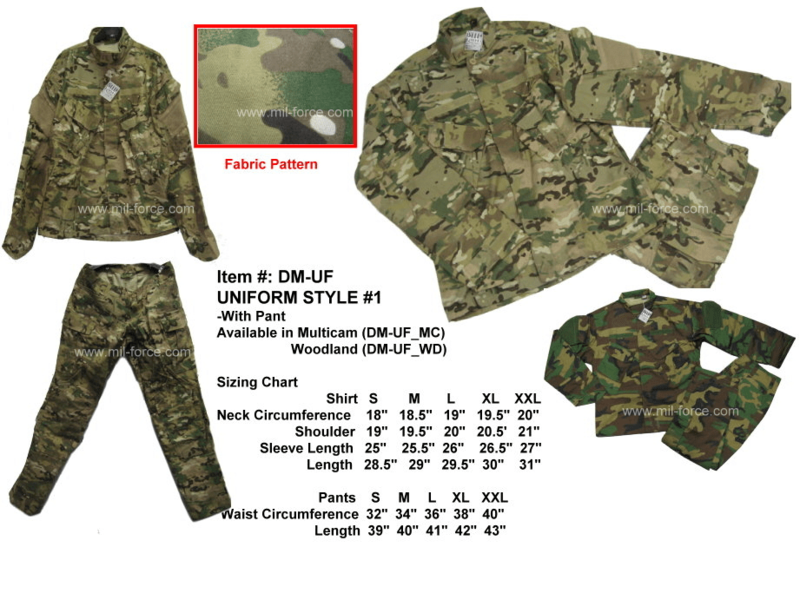 Hey Airsofters, Interested in seeing some of the latest in real Special Ops gear from around the world? Check out CQB Radio’s Facebook page to look at pictures from SOFEX, Special Operations Forces Exhibition and Conference, held in Jordan. I’ve got a friend who attended and sent me some great pics. Dear Arnies, Here is an update on new shipment that was added to SD’s Just Landed section. Forged Clothing: Hot New Styles! FORGED NEWS: We have big plans for this summer! Forged will be attending more events nationally and locally. New styles will be rolling out faster than you can keep track. Look for Forged Clothing in your local stores, as we’re expanding our vendors and selection. SNEAK PEAK! Pics from last weekend’s Rock on the Range rock concert festival will be cropping up on Facebook any day now! Cross: Sleek front-graphic tee; the warrior’s cross and banner imprinted with "an American brand", charcoal. The Brand: Classic Americana mixed with a modern rebel edge. Made to ride; Forged for the road. Heavy Metal: CrossFit Forged’s newest T! Hi There, I’m Gael, Event manager and buyer for Cybergun in France. I send you this mail to inform you that since yesterday, Inokatsu, the master of Hi-end products has joined the Cybergun Group. 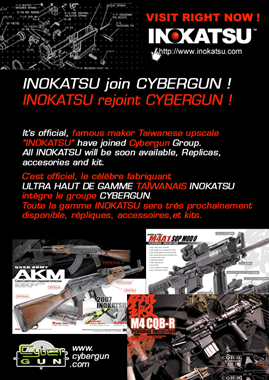 In few months, Inokatsu products will be in Cybergun’s catalogue. 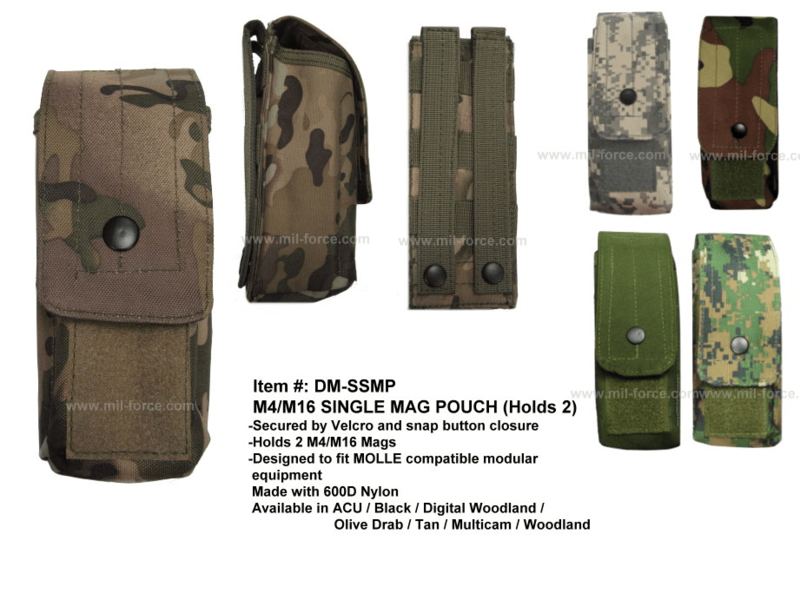 Dear Sir, We are glad to inform you that we have launched a new Woodland color for the following items; #DM-SSMP Single Mag Pouch, #DM-DSMP Double Mag Pouch and #DM-UF Uniform set (please refer the photos as attached). We invite you to visit our website at www.mil-force.com as we would have new events and product information update from time to time. Furthermore, we are very pleased to provide OEM and ODM service to your own design and sample. We would glad to return your sample with our counter sample and quotation for your kind approval. If there is any additional information you would like to have regarding our products, please do not hesitate to contact us. We will be happy to be of assistance. 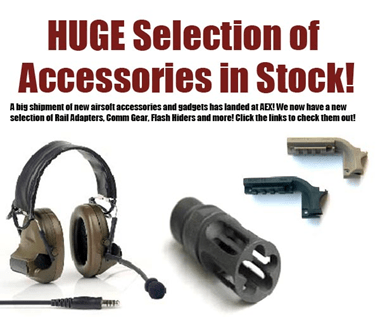 Hi, A new manufacturer – KWG produced a full metal US marine M9 pistol. We’ve made this video for a simple review of this pistol.